This year the BIT celebrates International Women’s Day with a line up of fantastic female talent, featuring visiting and homegrown acts. What’s the best advice your were ever given? Rhiannon Vivian (“A very dry sense of humour.” – West End Wilma) and Maria Peters (“Left me helpless with laughter” – Fringe Guru) have been improvising together for over a decade. 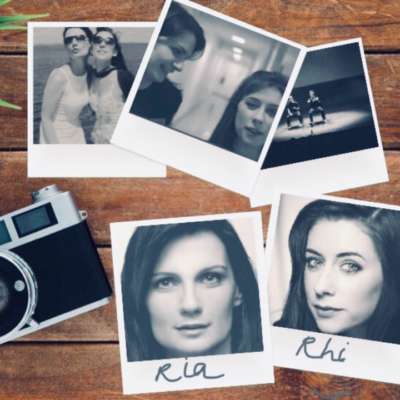 In their duo, Ria & Rhi, they create stories, characters and entire worlds all inspired by audience wisdom. Created by Bristol-based theatre makers The Delight Collective, Friends Like These is a celebration of platonic love and friendship in its many forms. Featuring Imogen Palmer (Closer Each Day, Impro Melbourne, Soothplayers: The Improvised Shakespeare, The Bish Bosh Bash!) and Caitlin Campbell (Murder, She Didn’t Write, This Is Your Musical, The Adventures of the Improvised Sherlock Holmes) with guests. And presenting the BIT’s brand new all-female short form troupe, directed by Michelle Graham McMorrow (The Short & Girlie Show).